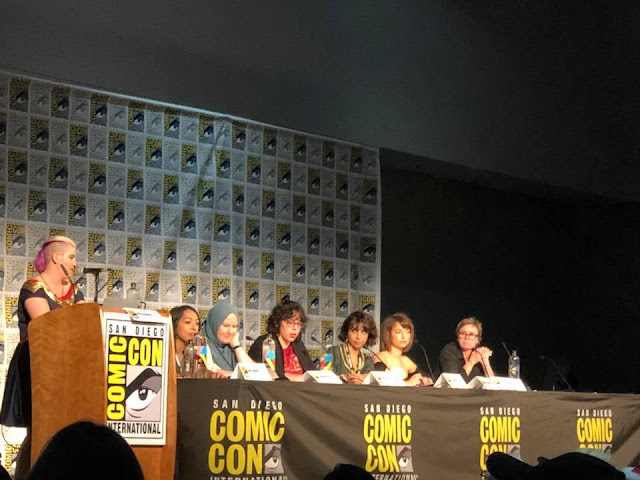 Dawn had a chance to attend the Women of Marvel panel at SDCC. 2018 has been declared by many to be ‘The Year of Women’. Not only have women embraced and channeled their own power through such movements as #MeToo and Times Up, but the entertainment industry is finally starting to bring this female power to the mainstream. Wonder Woman and The Last Jedi, with their female leads, broke box office records in 2017. Black Panther has been revered for its cast of mostly strong female characters. Marjorie Liu became the first woman ever to win the best-writer honor for Monstress at this year’s Eisner Awards. Marvel just released the first issue of The Life of Captain Marvel, written by Margaret Stohl, to celebrate 50 years of Carol Danvers, and Brie Larson was recently cast to play the infamous superhero. To the dismay of MRAs everywhere, the world of women is currently nothing short of straight fire. Which is why when I walked into the Women of Marvel panel at this year’s San Diego Comic-con, I was not surprised to find a packed house. 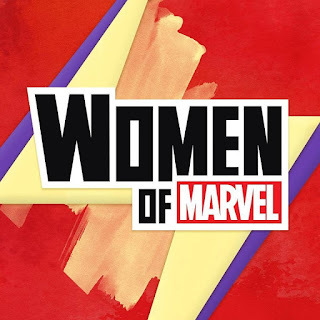 For those who are unfamiliar, the Women of Marvel panel is held mainly at New York and San Diego’s Comic-cons, and has been steadily growing in popularity since 2011. Its purpose is to have a conversation between the women working behind the scenes at Marvel and female comic book readers. 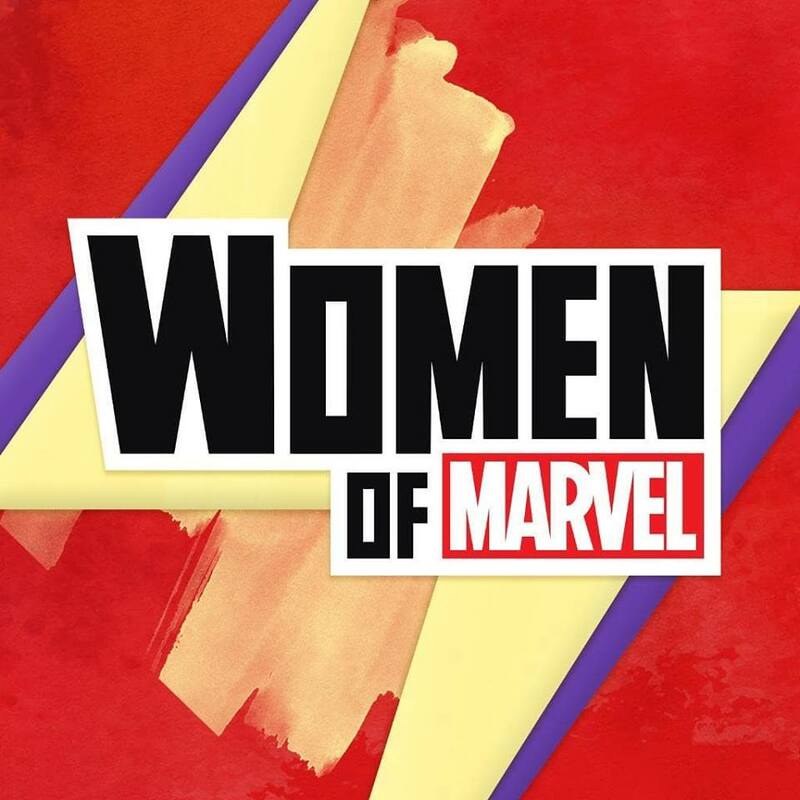 In 2014, interest in Women of Marvel had grown to such an extent, that its producers decided to host a weekly podcast by the same name. In their pilot episode, hosts Judy Stephens, Sana Amanat, Jeanine Schaefer and Adri Cowan discuss the reasons behind the panel’s growing popularity. They attribute it to an already existing female demographic of readers and want-to-be readers who share a “collective fear of piercing the comics market”, and are now coming out of the woodwork upon discovering the existence of a growing female, comic loving, and comic producing community. This year’s panel was hosted by Producer Judy Stephens and included Sana Amanat (VP of Content & Character Development), G. Willow Wilson (Writer of Ms. Marvel), Mairghread Scott (Marvel Rising Feature Writer), Kathreen Khavari (Voice of Ms. Marvel, Marvel Rising), Milana Vayntrub (Voice of Squirrel Girl, Marvel Rising), and Kristi Reed (Voice Director for Marvel Rising). Originally intended to only be a 10 issue series, reader interest in Ms. Marvel has pushed the series to 10 volumes instead. Astonished by its popularity, writer G. Willow Wilson described it as the “the little series that could.” Now Marvel has created the spinoff comic and animated series Marvel Rising, which focuses on the friendship of Ms. Marvel and Steve Ditko and William Murray’s character Squirrel Girl. You can hear SDCC 2018’s Women of Marvel panel in its entirety on their next podcast, and find all of their previous episodes here. The animated series Marvel Rising: Secret Warriors is scheduled for release on the Disney Channel this fall.